Dow® Styrofoam™ XPS PIB is a closed-cell thermal plastic, void free, seamless foam insulation billet designed for mechanical fabrication design and manufacturing. 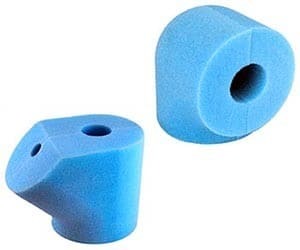 Styrofoam™ XPS PIB Billets are designed specifically for ease of fabrication. The billets are seamless and cell structure is designed for both shop fabrication and field adjustment. Styrofoam™ can easily be cut and formed in the field with an insulation knife. Specialty valves, fittings, and many other technical components should be manufactured by a fabricator. Polyguard Products has developed detailed installation guidelines to assist design and installation of Styrofoam™ XPS PIB. Styrofoam™ XPS PIB products are sold through Polyguard to an extensive fabricator network. For more information call Polyguard at 214-515-5000. PolyPhen® phenolic insulation from Polyguard is a closed-cell, high R-value, fire resistant foam insulation that offers engineers a superior choice in chilled water applications where the code requires the insulation to meet ASTM E84 flame and smoke requirements. 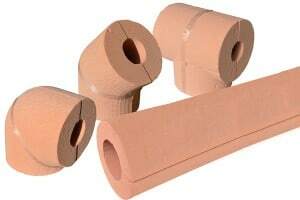 The insulation is available in four densities allowing for its use on hanger supports. With a thermal conductivity of 0.18, PolyPhen is the most efficient foam insulation allowing the engineer to specify smaller diameter pipe insulation, potentially saving cost in the vapor barrier and protective jacket and where space is a concern. Polyguard's Mechanical product line also features the RG-2400 of corrosion gels; stop and prevent Corrosion Under Insulation (CUI). Alumaguard® Weatherproof Jacketing & Cladding Products, and Dow® Styrofoam XPS PIB. Styrofoam is a registered TM of Dow Chemical.